Spray large skillet with PAM® Cooking Spray; heat over medium-high heat. Add zucchini;cook 2 to 3 minutes or until tender,stirring occasionally. 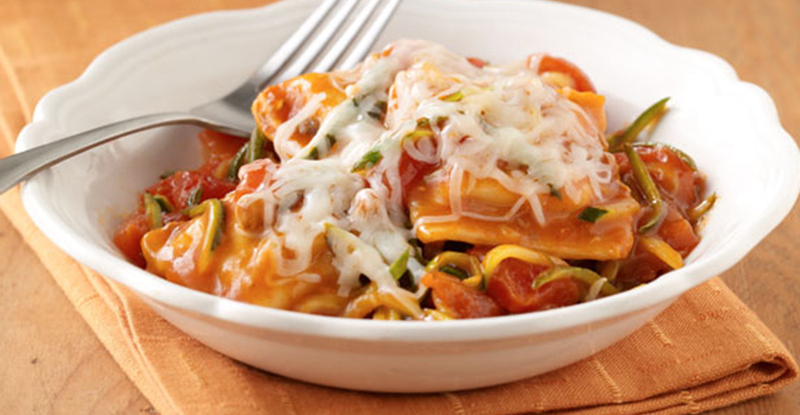 Add Chef Boyardee® Beef Ravioli,drained tomatoes and garlic powder; cook 3 to 5 minutes or until hot,stirring occasionally.Sprinkle with cheese,cover and cook 1 to 2 minutes or until cheese melts.